Living With CLL (Chronic Lymphocytic Leukemia): My Personal Clinical Trial News and Travails from the James and My Take on IV versus Oral Therapies. If you want to skim through my long miserable travel story, and just get to the lab results and my reflections on all these goings-on, my feelings won’t be hurt. 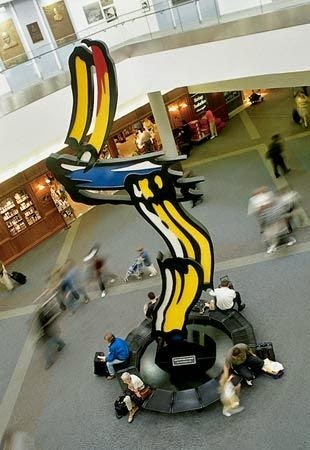 Monday, May 25, 2015, I got out of bed around 5 AM after only 4 hours sleep in order to catch my early flight to Columbus via Dallas (DFW), so that I might arrive in Ohio (CMH) in time to spend some hours with a good friend over dinner. All went well at the airport (breezed through security in 5 minutes) and with my first flight. Little did I know that I would be spending time with news friends, my fellow travelers sitting on the tarmac for 3 hours the first time, and more than two hours the second time. And I must have looked mighty strange during much of that hurrying up and waiting. Having somehow lost my N95 mask after the first flight, I wore the cloth eye mask that I had in my bag over my nose instead of using it for its true purpose of blocking out the light to allow sleep. First, after boarding the plane and a minute away from take off, comes the first 15 minute delay at the gate due to the rain that’s coming but not there yet, then another 30 minutes delay, and then more and more, then finally we are pushed out the gate as the ground crew are back in action now that the rain threat has passed, but when we get to our runway there are no longer any flight corridors to the north, so we wait and wait and wait again, then make the decision to make the long taxi to the other side of the airport for a take off on the still open longer southern route to our destination (FACT: DFW is bigger than the entire state of Rhode Island), only to wait again…. until we become too low on fuel to make it to Ohio, so back to the gate, where just before things are looking as if we finally might get airborne, we next learn that our flight crew has just passed the “legal limit” of how long they can be at the controls, so we need a new pilot and first officer. More delays at deceptively optimistic 15-minute increments, until the final cancellation is not really announced, more just realized and we all march off the plane. I am one of the lucky ones who left the long, long line at the unlucky gate and walked to the next open gate (a flight to NYC as I recall) where the helpful agent helped me grab one of the few remaining seats on the next flight out, originally scheduled for a departure about three and half hours after the first one. I was OK with all this until the almost identical story started repeating itself on my second flight, right down to losing our crew as we were within minutes of departure. Now I was starting to get panicky. I was stuck at DFW. It was after 10PM and we had no crew. As a result of having no one in the cockpit, we, of course, had no air conditioning. No one could turn it on. There weren’t even any flights available the next day that would get me to the clinic in time for an afternoon appointment. And I have my important IVIG infusion scheduled back in sunny California the day after. And the day after that, I’ll be off to Orlando, and the day after that, Chicago for ASCO. My dominoes were tightly lined up. No clinical trial appointment at OSU would mean no more magic pills. I was completely out of my ibrutinib, having stretched this clinic appointment to the maximum at 13 weeks. AND I had just read the ASCO abstract about increased relapses when we miss more than a week of pills. More on this critical subject later. This cancer-controlled life is such a fragile construct and there are so many ways it can blow up. Let’s face it: Those of us with CLL that need treatment, especially in a clinical trial, especially in a clinical trial across the country, are high-maintenance and high-risk for something messing up. Of course my dinner was canceled. And any food plans. No 7/24 vegan catering in Columbus. But amazingly American Airlines did find a fresh first officer and about 45 minutes later, a new captain for my second flight. That plane ride to Columbus ultimately left a little more than 8 hours later than planned and instead of arriving at 6:45 PM, I got in well after 2 AM. All the car rental stalls were closed. Got into bed at my friends’ house (without waking anyone up) around 3:15 AM and was up again at 6:45 AM for an 8 AM clinical appointment. All of this with a lingering cold! And with less total sleep times in two days than total time on the tarmac. In Dallas, I was introduced to a wonderful 91-year-old women aviator, flight instructor and former WASP. At the request of her friends who discovered that we were on the same flight, I helped shepherd her through the same confusing mess that so many of were enduring. She was charming and full of great stories and she walked faster than I did. When we arrived at CMH, she asked if I might help drive her home as we discovered she lived close to my friends’ home north of Columbus, so after some fumbling with the GPS in her new KIA parked in an offsite lot, I drove to my destination and she continued the less than 2 miles to her home. At the clinic early the next morning, Dr. Byrd checked out my head cold and declared it was a head cold. No chest rattles or swollen nodes. No treatment. But I always seem to manage to find some cause for worry. My ALC (absolute lymphocyte count) was a very normal 2.48 but that is double what it has been over the last few years. It usually lingers around 1 or less. Could it be from my cold? You bet, but I still will be happier when I see that it is not the start of a trend. My LDH was just a tiny high too. 207 and normal tops out at 190. There are a million causes for that blip. Most are innocuous, but it can herald cancer resurgence when it climbs and climbs and climbs. Again it makes me more vigilant, but I know and I counsel others that the trend is your friend and will tell the tale, not one isolated and trivially elevated level. Putting it all together (and more critical lab is pending) it probably doesn’t amount to a hill of beans, but I have been spoiled by a few years of mostly boring results. As most of you know (probably to the point of annoyance at this point), I am vegan and eating on the road is always my personal challenge. Despite the heartening finds of lentil and kale/quinoa salads at DFW on Monday, unless I took some bold action, it looked like my food fare on the way home from breakfast until 10 PM when back in my own kitchen would be only the raw organic nuts, green teas, and the vegan cookies that usually accompany me in my carry-on bag for such contingencies. CMH might have a fabulous Lichtenstein sculpture, but it is lacking in vegan cuisine. My connection in Phoenix is too tight to grab a snack even if there was an option. So I sleepily waited at the James Cancer clinic after my appointment was done until the lovely Portia’s Café opened its doors at 11 AM, and then treated myself to a cab drive to to this Clintonville haven of delicious organic vegan and raw food. After a naturally sweet vegetal loose green tea, the tasty fortifying raw broccoli soup, a deeply satisfying gluten free raw hummus and sprout wrap and a to-die-for vegan chocolate “cheesecake”, my batteries were recharged. I wasn’t hungry any more. The same cabby picked me. Magid, the cab driver, was born and grew up in Fez, Morocco and is a geography student. We talked and talked (some in English, some in French, none in Arabic) about his wonderful unique corner of the world that I have been lucky enough to visit twice. His wife has just joined him from Maroc. He insisted on cooking me a vegetable tagine next time I am in town and I think I will take him up on the offer. So despite all the delays and near panic and my dangerous lack of sleep (I wrote this on the first leg of my plane trip home), my travel adventure was full of some magical encounters, an on-time clinic visit and good news from Dr. Byrd. I am flying home with 13 weeks of ibrutinib, and for my wife (SSSHHH! ), two pounds of Tim Horton’s whole bean coffee and one squished apple fritter, treats for her that are woefully unavailable in southern California. On a different note, please check out the CLL Society website today for the first of my monologues on therapy, this time on oral versus IV drugs. It’s a more nuanced decision than I thought when I first started researching the material for the post. The direct link is here and I would appreciate your feedback on this new format and content. I think this is all working out. My blog is reverting back to my personal story and where I postulate and pontificate however I want, sharing the good and bad. The CLL Society website is evolving to be more about the facts and research news, their unpacking and contextualization in our effort to make them useful and accessible. It is more effort to keep both going, but I believe they are both important in their own way. What do think? Please let me know. PS. We were sideswiped on our way out of the airport. Thankfully no one was hurt, but the rear and both door panels on the passenger side are going to need work. OY! Our very thin CLL Society team is busy preparing for the ASCO (American Society of Clinical Oncology) 2015 Annual meeting which starts at the end of this week in Chicago, but we still found time to bring three diverse and instructive new topics to our website http://cllsociety.org for this week. Today, Monday, May 25, 2015, we posted Dr. Adrian Wiestner's thoughtful and well-considered interview from ASH (American Society of Hematology) 2014 on what is known and unknown about novel therapies. You can find that here. Expect more video interviews and commentaries from ASH 2014 over the next several weeks. On Wednesday, the camera is turned on yours truly for my personal take on CLL topics of interest. We include the short video and an updated transcript on this week's topic of oral versus IV medications. I think you might be surprised at some of the issues and non-issues in what would seem at first glance to be should be a simple choice. I have posted extensively about the tragedies that were associated with potent oral medications before we knew about the risk of tumor lysis with ABT-199 now known as venetoclax or in the case of lenalidomide (Revlimid), where there is also the risk of tumor flare. These risks have largely been mitigated now with new dosing protocols. Please see this prior blog post for part of the story. This new section on the CLL Society website using monologues and text will roll out here. And this will be only the first in a long series of instructional postings on the various CLL therapies. On Friday, we will post an up to the minute review of and link to an important ASCO 2105 abstract about the latest data on combining idelalisib with chemo-immunotherapy. You will find it here on Friday. Please let us know what you think, especially about my reading and the transcripts of my monologues. 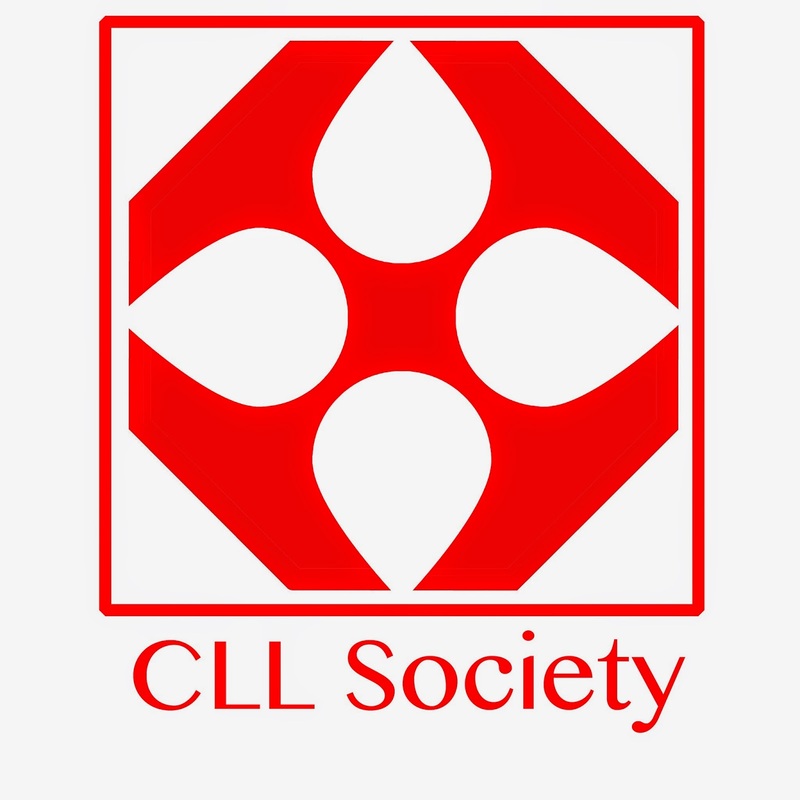 You can contact the CLL Society here or email directly, but the 1st method is preferable. We are constantly working to respond to the unmet needs of the CLL community, so we listen carefully to what you write us and try to respond as best we can. We don't have a big production budget and team or large institutional backing, but we keep going to offer up the most robust and recent, yet still accessible information with no gloss and no agenda other than to inform our community. Switching to a personal update, my wife and I are stilling struggling with a lingering upper respiratory infection aka a cold that my beautiful granddaughter shared when visiting from Chicago. No fever or cough for me. With the frequent use of a Neti pot, normal saline and steroid nasal sprays and a single shot of a decongestant (and no antibiotics), I have managed to control the symptoms and survive the pressure changes in the first of several air flights. Both of us remain “under the weather” after a full week of symptoms, but we are slowly improving. For most of my immune-competent patients, I would never recommend an antibiotic in such circumstances, but I am not most patients and either are any of my fellow CLLers. We are all immune comprised. Our immune systems are as dysfunctional as hyperactive adolescents who are asked to focus on a single boring multi-step math problem while the rest of the vibrant world pours on around them. Like those teenagers, my immunity’s focus is weak and easily diverted to the wrong target, having lead in the past to my nasty autoimmune problem of ITP. Tomorrow I am at Ohio State for my three-month follow up on my ibrutinib trial. Expecting another good lab report. Usually my neutrophils jump up when I am sick at all, even with a viral illness. I wonder if Dr. Byrd will add an antibiotic and chide me for treating myself, always an ill-advised choice. Personal confession: I worry about my admittedly relatively mild added illness. Worrying is already too easy to do with CLL, and even more so when we are sick. URIs can lead to chest infections and pneumonia is still the leading cause of mortality in CLL. I will be much happier when this infection is gone. I will be home one day this week, long enough to get my every 6 week dose of IVIG. Late in the week, I will be Orlando for less than 24 hours to lecture on anemia and gout to some 400 primary care providers. Then I fly onto Chicago for the very busy ASCO (American Society of Clinical Oncology) Annual meeting. Rest is not in the picture. But it is a good busy and I will be with friends everywhere I travel. I may even get to see the little girl who gave me the cold in Chicago. If we are both well. Honestly, most of my fellow family doctors (FP) know very little hematology. This may be even more true of other primary care providers. The ABFM board exams for family doctors dedicated a whopping 1% of all the questions to hematology- that is for everything from a simple iron deficiency anemia to a life threatening acute leukemia. Not much incentive to become expert. As one of the few FP who lives and breathe heme with a deep and abiding personal stake in making sure that all things blood related are done right, and also as doctor with a long background in teaching, in fact a masters of science degree in Medical Education (all my initials are MDCM FCFP, DABFP, MS Ed), this publication on teaching my colleagues about the importance of anemia in the elderly and all the work that lead up to it definitely was a topic in my wheelhouse. I was lucky to be involved in all ages of this effort: helped with the content development and served as faculty for all the live presentations to thousands of primary care providers across the country and worked on the very cool mobile app: Anemia Algorithm. Click here for the iPhone and here for the Android downloads (>15,000 total downloads). Finally I co-authored what culimated in the actual peer reviewed publication. The take away message of all our educational effort is that anemia (or if you prefer the British: anaemia) is not a normal part of aging, shouldn't be ignored and is often related to bone marrow issues that can be helped by a hematologist. Sadly, MDS (myelodysplastic syndrome) is too often missed by my fellow doctors. MDS are a group of bone marrow disorders in which the bone marrow is dysfunctional, cancerous, and does not produce adequate healthy blood cells resulting in either anemia or infections or bleeding problems or in more difficult cases, dangerous combination of all three, depending on what hematopoietic stem cell line or lines are effected. This is an increasingly real and common concern for us CLL patients as we live longer, especially those of us who have had chemotherapy. Past history of chemotherapy is a long recognized risk factor for developing MDS. Please take a listen to this ASH 2012 prior post on CLL and MDS from one of my co-authors, Dr. David Steensma who is a recognized world expert on MDS and geriatric anemia. My other co-authors are Jill Hays and Kathy Farmer with whom I worked at Primary Care Network on CME, and Betsy Dennison who besides doing CME and patient education, works with the CLL Society. I am lucky to be part of such a fine team of researchers and educators. We wanted to measure if we made a difference through continuing medical education in patients' lives, and looks like we did. That is the subject of our publication. Subsequently, I have stepped away from much of what I do in non-CLL related medical education to be able to volunteer more of my time to the nonprofit CLL Society, but I wanted to share some of the past work that I have done to educate my fellow doctors over the past several years. I am very proud of these educational endeavors and they clearly inform all that I do on the blog and even more so now on our new website, CLLSociety.org. The new website is dedicated to educational efforts that move the bar higher by first surveying and assessing what is needed in the CLL community, teaching to those needs and following up to see if we made impact. As a doctor, a patient and an educator, I and the rest of the CLL Society team try to reach beyond journalism to education, support, research, and advocacy, not just posting pleasant videos that report good news, but digging to point out the good and bad that might have serious treatment implications for us CLL patients. We have an vision: smart patients get smart care. In this week's new postings on the CLL Society website on Monday, Wednesday, and Friday (May 11th,13th, and 15th), Professor Peter Hillmen from Leeds, England outlines the sorry state of traditional trial design and the problems it creates, or more accurately the problems that it doesn't solve, for us CLL patients. Professor Hillmen heads up CLL research in the United Kingdom. There are so many new CLL drugs and so many more possible combinations that need to be explored. And that can take a long, long time. Sadly, too long for some of us. But Dr. Hillmen offers a practical, agile solution that is now happening in the United Kingdom. During the three-part interview, Professor Hillmen outlines a consolidated strategy called TAP (Trials Acceleration Programme) to get us the answers we need more quickly. Trial design, surrogate markers and how well they translate with novel therapies, and statistics are explained during the course of our interview done in December 2014 at the ASH (American Society of Hematology) Annual Meeting in San Francisco. I understand if your eyes begin to glaze over when we start to discuss trial design and statistics, but just as it is important that we know about the drugs we are getting, it is equally important that we know about trials we are getting. Proper trial design and proper rendering of the results can change and save lives. But I will let Professor Hillmen explain it here in a direct link. His excitement and pride are palpable. Please check the CL Society website again on Wednesday and Friday for the 2nd and third parts of our interview. As we have discussed extensively in the issue of equipoise and crossovers, trial designs must reflect the needs of the patients. When I had a chance at ASH (American Society of Hematology) 2014 to interview my doctor, Dr. Tom Kipps, he first talked about the ROR1 trials that has recently opened at UCSD. This has been his research passion for years and is finally in trials. So far, so good. ROR1 holds the promise to be the perfect cancer target: found on our cancer cells, including possible CLL stem cells, and not on much else. Keeping in mind that in all likelihood, a curative therapy is going to include a biological or immune approach, so it is important to know about ROR1. I have included links to more background and the clinical trials in the article. In the second segment of the interview, Dr. Kipps discussed the findings presented at ASH on how CLL is actually treated in the real world. Guess what! It is not according to the latest guidelines. Another reason to add a CLL expert to our team. Expect video updates on the website every Monday, Wednesday and Friday for the rest of the month. On May 7, 2012, I swallowed my first three battleship grey pills of PCI-32765, later to be known as ibrutinib and finally Imbruvica when approved by the FDA for relapsed/refractory CLL in February, 2014. For us early adapters, most of whom like me, are still doing well in the subsequent extension trial, it is still the same grey pill and it is still called PCI-32765. Clinical Trial NCT01217749 or PCYC-1109-CA out of Ohio State University (OSU) was a phase 1b/2 trial mixing the then very new BTK inhibitor with the then newest antibody, ofatumumab. I was in the last of three cohort. My group received the monoclonal antibody first so I actually started the trial a few months before I got to the ibrutinib. Details are described here. Turns out that my cohort did the poorest as a bunch. Better to use the oral signal blocker first or even simultaneously to empty most of the cancer cells out of the marrow and nodes where the antibody can pick them off with no interference from their microenvironment enablers. That's why we do trials: do figure this stuff out. But statistics predict for groups and here I am three years later in a deep deep remission. My absolute lymph count is at the low end of normal at 1000 and only 0.8% of those cells are clonal. If we do the math with just a few calculations we figure out that I only have 8 cancer cells in each microliter of blood. That not bad for someone who has a complex karyotype, 17p and 11q deletions, ZAP 70+, unmutated, CD38+, and a failed transplant. Excellent disease control and a very deep remission, but not MRD negative. And certainly not cured. For that elusive cure, I and most CLL patients will need a cocktail, preferably of target therapies. Fortunately some researchers agree and such trials are opening up. During these last three years my blog has morphed from talking about my ups and downs in managing my CLL into a more universal story about the changing research and treatment paradigms in our disease. Our newly launched nonprofit's CLL Society website: http://cllsociety.org will increasingly be taking on that educational role and my blog will return to being more my personal journey and the place for me to vent and pontificate. Just this week, our website has several new articles: an article on the WHO statement on clinical trials, the news about the breakthrough therapy designation for ABT-199 or venetoclax for my fellow 17p deleted patients, and two cool interviews with Professor Roberts from Melbourne, part of our conference coverage, which were done at ASH 2014. Dr. Roberts talks about the mechanism of action of and the early result with venetoclax or ABT-199, a drug that he helped develop in Australia. Every Monday, Wednesday, and Friday we will be adding new videos and articles, so check back frequently. Already on some days, the one month old http://cllsociety.org is helping more folks affected by CLL than this venerable blog. I have been asked by pessimists and worriers: How long and deep will the CLL Society's efforts at education, support, news, and advocacy continue? The answer is: As long as there is the need and the support for what we are doing, we will keep going. Realistically, we desperately need to staff up in order to keep going at this pace and to expand what we are already doing. We have big plans that demand more than any one or two people can do, but we are just starting up and I am confident we will soon have the resources we need. Betsy Dennison is a nurse practitioner and a wonderful educator with whom I have worked for more than five years in a effort to teach family doctors about the importance of the appropriate management of geriatric anemia. Betsy also has a strong oncology and patient education background. Please take a look at the article she wrote on the WHO recent push to ensure we hear the results of all clinical trials. No longer should negative results be buried and never see the light of day. Please consider her commentary here on their public statement posted here, with a link to be found in our clinical trial section of our nonprofit CLL Society's newly launched website. Information on clinical trials will be a burgeoning section of our new website over the next several months. You may find also more of interest in the many articles we used for our launch and in the new video material from ESH 2014 and ASH 2014 that will be posting every Monday, Wednesday, and Friday on CLLSociety.org until ASCO. As usual, I include my analysis, references, and summary. We welcome your feedback through our contact link. Let us know what you like and what is missing.